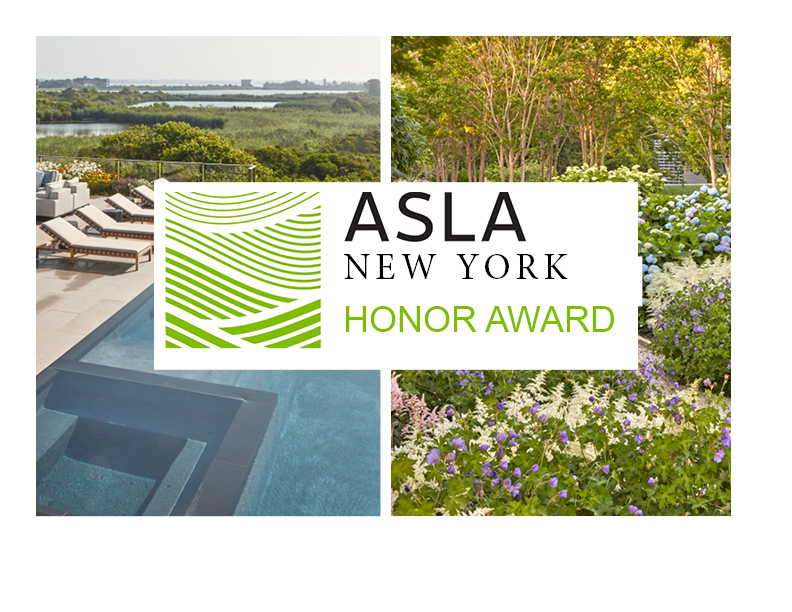 We’re delighted to announce that the American Society of Landscape Architects (ASLA) chapter in New York gave Hollander Design two honor awards this month. They recognize excellence in residential design for Topping Farm and Dune House. Topping Farm is a post-agricultural homestead near the ocean. Our challenge was to give a large property a sense of cohesion despite its size and three very different architectural styles on the site. The property includes historic, traditional and contemporary architecture yet feels unified because of the landscape design’s structured views, consistent materials and subtle references to its history as farmland. We were pleased to collaborate with architects Peter Pennoyer, Roger Ferris, and Robert Stilin on this project. Our aim at Dune House was to preserve the sensitive ecologies of native dunes and wetlands at an oceanfront property by containing nearly all landscape elements within the building’s footprint. The result is an on-structure landscape informed by the spirit, forms, palette and materials of the preserved native landscape beyond. The jury commended the project’s careful use of minimalist materials and its integration of planting with architecture. We were pleased to collaborate with Leroy Street Studio and Victoria Hagan Interiors on this project, which also won an Honor award from the Illinois chapter of ASLA this year. See more about these projects on our portfolio page and on the ASLA award announcement. 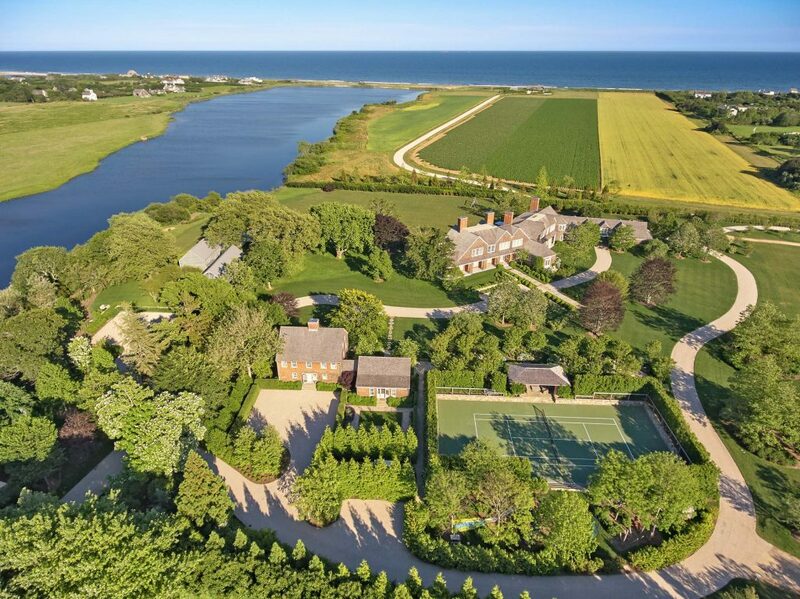 Posted in Awards and tagged with awards design hamptons oceanfront residential .